Beets are one of my favorite vegetables. They’re in season right now and I’ve been selecting them every week in my CSA pick up from Brad’s Farm Market in Churchville, MD. 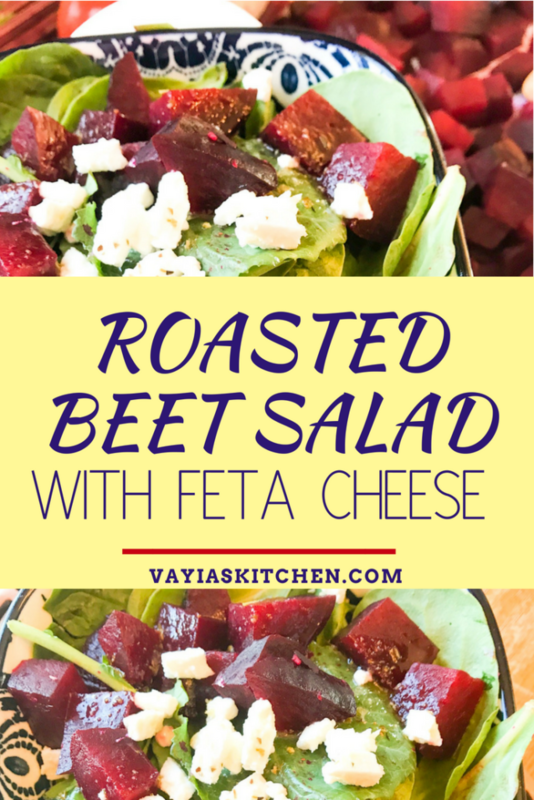 You can prepare beets several different ways, but my favorite preparation is to roast beets in the oven for a Roasted Beet Salad with Feta. 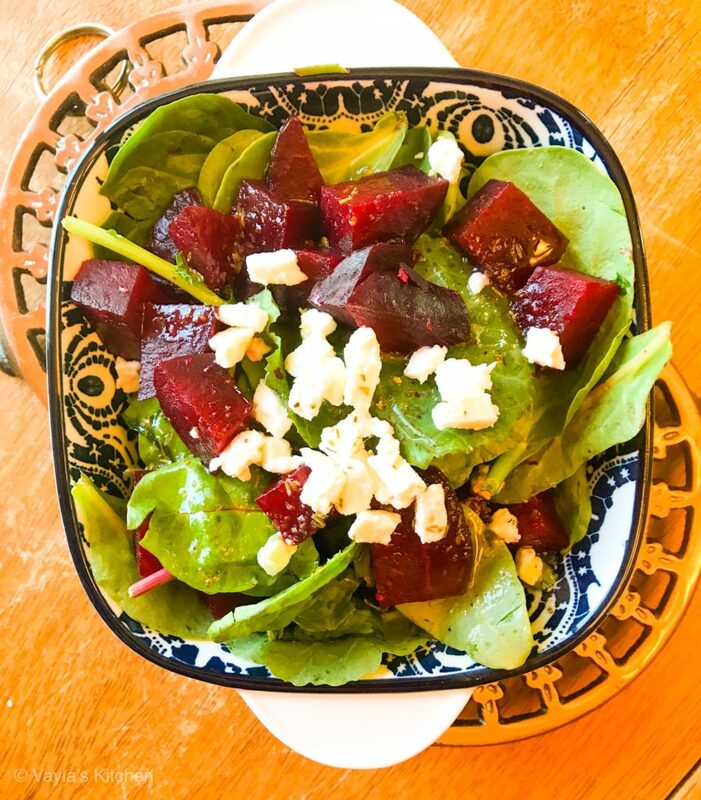 Beets are super delicious and contain many vitamins and nutrients. 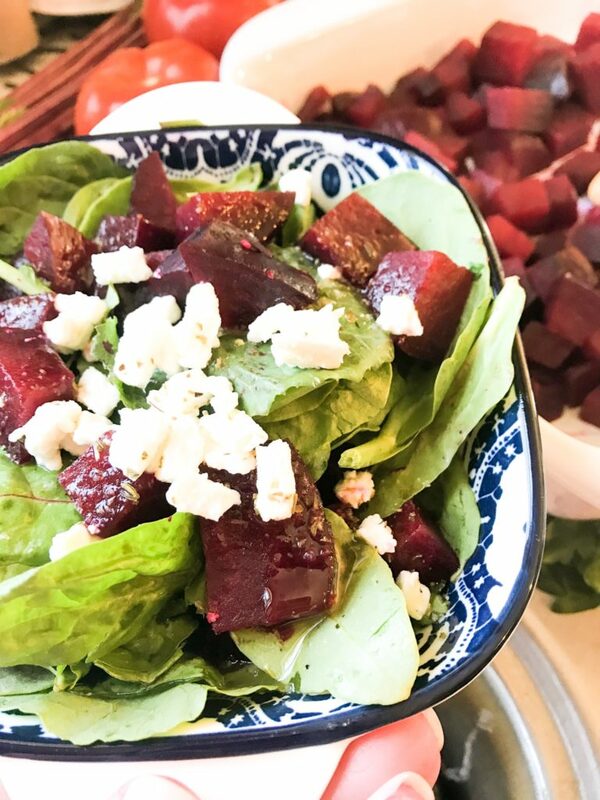 According to Prevention.com, beets are known to lower your blood pressure, boost your energy, keep you regular, and even boost your brain power! You can eat beets as a side dish with just a little salt and olive oil, they can be mashed or pureed into a dip, (try this recipe from Epicurious.com). 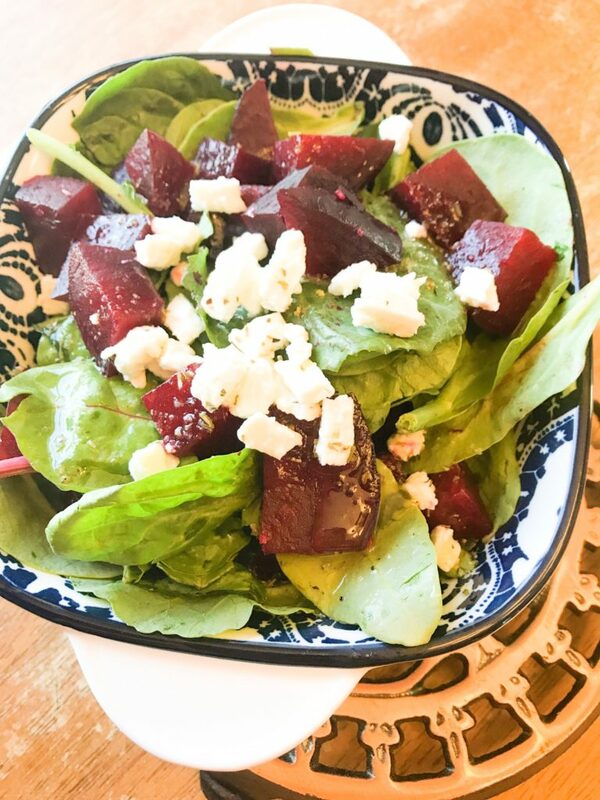 But my favorite way to enjoy beets is in a salad with fresh greens and some feta cheese. 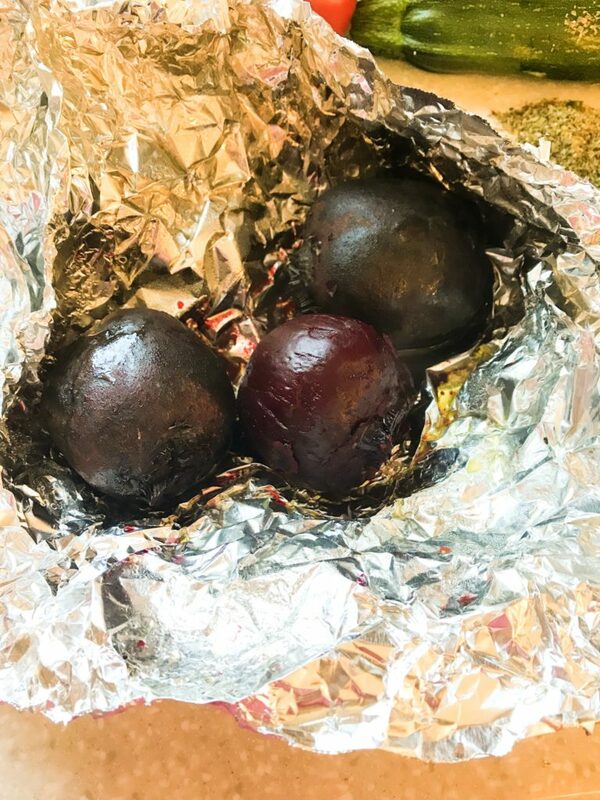 Roasting beets in the oven is very easy. Roasting brings out the earthy flavor of the beets and the olive oil and garlic amplifies the taste. Place the beets in a large piece of foil, drizzle with olive oil, salt and a chopped clove of garlic. Close up the sides to make a foil packet. Place in the oven on the rack or a sheet pan. Roast for 40-45 minutes. Carefully peel back the foil to test. Once the beets are fork tender they are ready. Set aside to cool. Using a fresh piece of foil, rub each beet to loosen the skin. It should fall right off. The foil will protect your hands from staining! 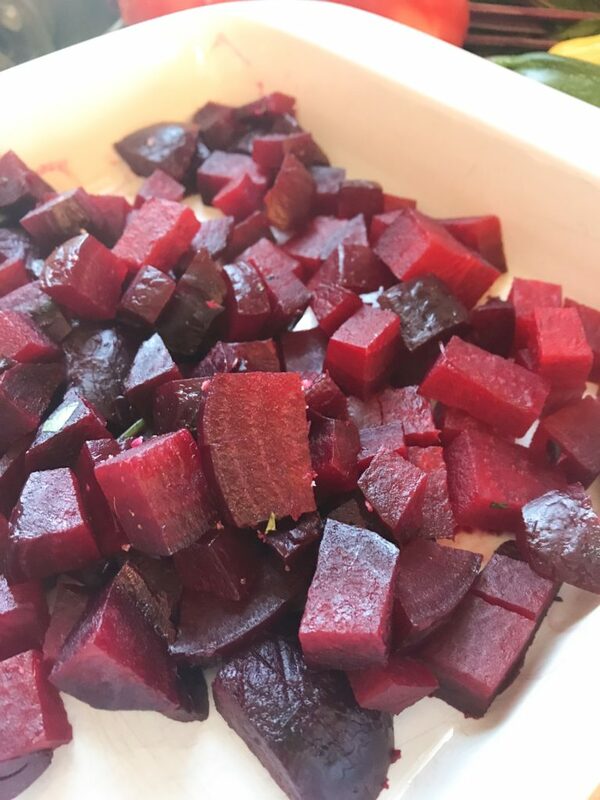 Chop beets into bite size pieces. Arrange fresh salad greens in a large bowl. Top with chopped beets and crumbled feta. Drizzle with Homemade Greek Salad Dressing. Serve with chicken, seafood and beef main dishes for a tasty and healthy side dish. 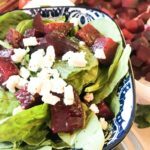 Roasted Beet Salad with Feta is delicious as a standalone dish or paired with chicken, beef, or seafood dishes. Roasting the beets is in the oven is easy to prepare and brings out their flavor. Place the beets in a large piece of foil, drizzle with olive oil, salt and pepper and a chopped clove of garlic. Close up the sides to make a foil packet. Place in the oven on the rack or a sheet pan. Roast for 40-45 minutes. Carefully peel back the foil to test. Once the beets are fork tender they are ready. Set aside to cool. Arrange fresh salad greens in a large bowl. Top with chopped beets and crumbled feta. Drizzle with Homemade Greek Salad Dressing. Serve with chicken, seafood and beef main dishes for a tasty and healthy side dish.